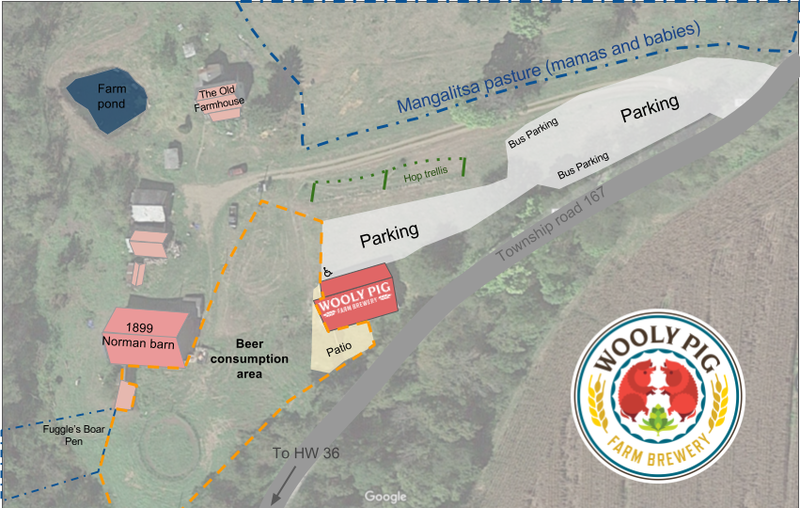 There's a lot to do, taste, and see at Wooly Pig Farm. Visit the tasting room, admire the sheep and horses, get to know the wooly pigs by name. Changes are always underway here so you'll have to excuse our mess. Some of it belongs right where it is! Herr Fuggle, the patriarch of the Wooly Pig clan, and some of his children. Our wooly pigs are an old-world breed called "Mangalitsas" originating in the Austro-Hungarian Empire in the early 1800's. Like many heritage pig breeds, Mangalitsas are lard pigs, meaning they were bred to NOT be "the other white meat." The meat is very dark in color for pork, and legendary for its fat layers and marbling. There are three Mangalitsa color variants: the blonde, the red and the swallowbelly (mostly black with white belly). We have blonde and swallowbelly pigs at Wooly Pig Farm. 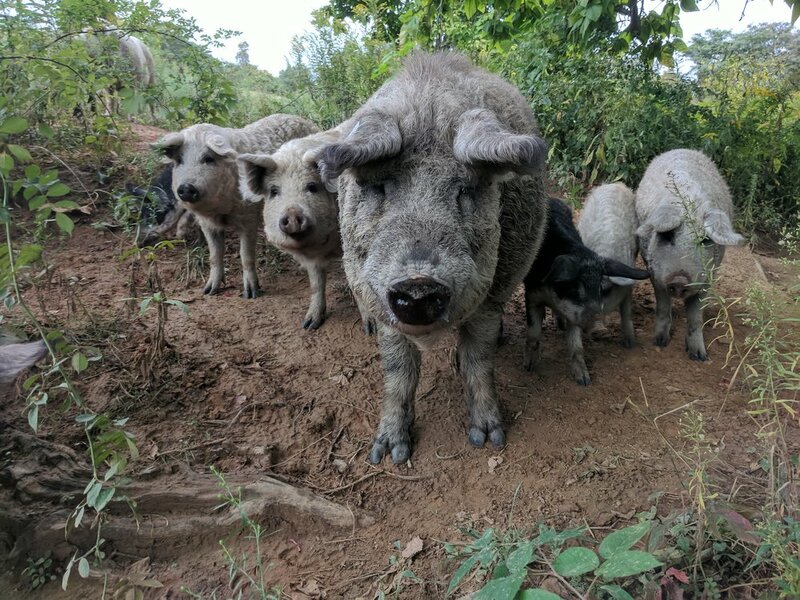 Mangalitsas are pasture pigs; they are excellent foragers and need very little feeding when free ranging in a pasture. 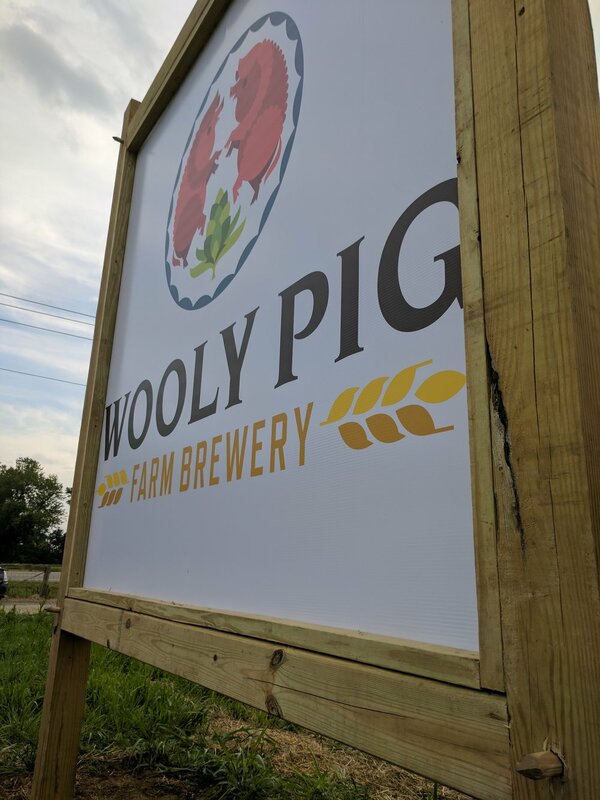 Our Wooly Pigs get the added benefit of living next to a brewery. They love the spent grain waste from the brewing process, which has had its sugars removed but is high in protein. If you want to see some happy pigs, forget the mud; come watch them gobble spent grain! The Brewery is embedded in and among the old Norman Farm buildings. We've made improvements for parking, infrastructure, and outdoor use, but left much of the original layout alone. There's plenty of space and material for creative experiments and expansion.